I saw a friend from high school post that his daughter’s mother was once again keeping him from seeing his child. This was not the first time he had posted about their relationship woes and her using their child as a pawn. Most of the comments expressed sympathy for his situation and ended in “it only hurts the child in the end” or something similar to it. Same day I see this post I happen to be reading “Shedding Soul Ties” by Marlene Downing. And it hit me! Children are permanent soul ties. 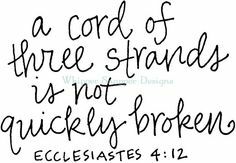 Like in “Not EASILY Broken” when the pastor told them that if God was the 3rd tie in their marriage it would not be easily broken. Why don’t people have conversations about reproduction using this language? The day before this epiphany, my mother told me Step Dad #1 called her and said “Your Daughter resurfaced” Though they have no biological kids together, their love for each other’s kids has continued to keep them bound to one another. Always serving as a conversation starter, a reason to reconnect, a grounds for collaboration. The book Shedding Soul ties discussed how one’s soul becomes intertwined with another, and that’s how people know when their partner is cheating, even without evidence. The presence of another’s energy is felt. How much more intertwined can two souls be than those bound to create a new life? People talk about being careful who you lay down with because you can become tied to that person for 18 years. I usually hear this discussed in terms of financial ties or basic communication. 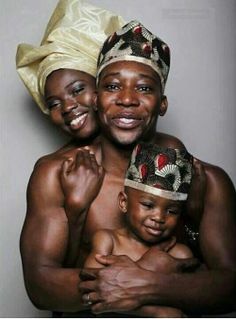 I don’t think people ever realize just how connected child rearing makes two people. For 25 years my mother has been seeing the face of a man she no longer loves, or even likes, every time she looks at me. Hearing his sense of humor in my jokes. Witnessing his potential realized in every academic accomplishment I’ve achieved. I’m sure she sees pieces of herself as well, but unlike a one-night-stand, where you can repent or abstain and pray you never see the person again and that they won’t remember you if you do, having a child permanently attaches part of you, to part of them. Even when he’s finally able to move on, which is part of the reason she’s withholding access to his child, he’ll always have some connection to a woman who is choosing to put him through hell. All I can think is DAAAMNDADDY! Some ties aren’t meant to be broken.